Texting while driving has become a big problem today, and there can be some grave consequences when people engage in this activity. In fact, the National Highway Traffic Safety Administration states that about 80 percent of all crashes in the U.S. occur because of distracted drivers. 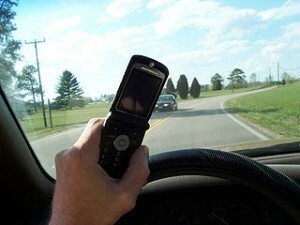 Furthermore, almost 40 percent of drivers who are between 19 and 33 have admitted to texting while driving. Research conducted by Nielson found that teens typically send about 80 texts per day. While some states have made it illegal to text and drive, there are still some states that have not. Another study conducted by Eastern Virginia Medical School asked 21 teens between 16 and 18 to drive while texting, talking on the phone and using an MP3 player. The study found that texting was the biggest cause of such things as swerving, slowing to unsafe speeds and hitting simulated pedestrians. These results are quite unsettling, to say the least. However, this is not to say that the problem lies solely with teens. Adults who text and drive are prone to becoming distracted and involved in accidents as well. Additionally, parents who text and drive are setting a poor example for their teens. All drivers should be aware of the consequences of driving while not fully being aware of the road before purchasing any truck or other vehicle. At www.SalvageTrucksAuction.com we have many salvage vehicles for sale. Do not let your car end up in our non-repairable list being sold as salvage truck parts to a more cautious driver.